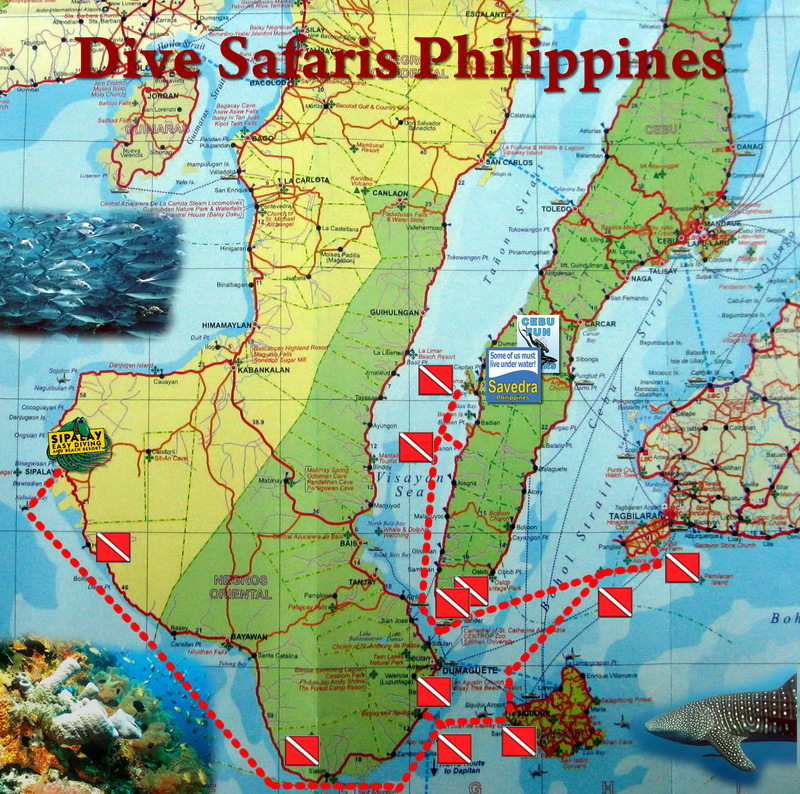 The dive safaris shuttle back and forth between the islands of Cebu and Negros on a weekly basis, from the end of October to the beginning of May. Here is a map with the route. The safari ships shuttle back and forth between the islands of Negros and Cebu, each week one of the boats alternates between the two destinations. On a trip starting in Moalboal you will head to Liloan, stopping at Pescador Island on the way, here you are close to the dive sites of Santander and Sumilon Island. The following day you are off to Sumilon Island and then Balicasag, you will spend the night on the famous Alona beach in Bohol. Day three takes us for a full day of diving at Panglao Island, before heading back to Alona for the night dive, and to the hotel. Day four has one last dip in Balicasag, before heading off to the famed with island of Siquijor, you’ll spend the night in Duain (Dumaguete). Day five is one of the trip highlights, we get to spend a full day at Apo Island, enjoying some action packed drift dives, before heading back to Duain. Day six is the final day of the trip, you will start the trip along the Negros coastline toward Sipalay, typically we can fit in two to three dives (weather is king here). The trip ends with a sundowner drink in the beautiful bar and restaurant at Easy Diving. Two days later, after some re provisioning, the boat crew will greet a new group of divers, and return the same way, doing the same trip in reverse. The safari highlights, Here is a short list of the best dive sites that are visited on safari. 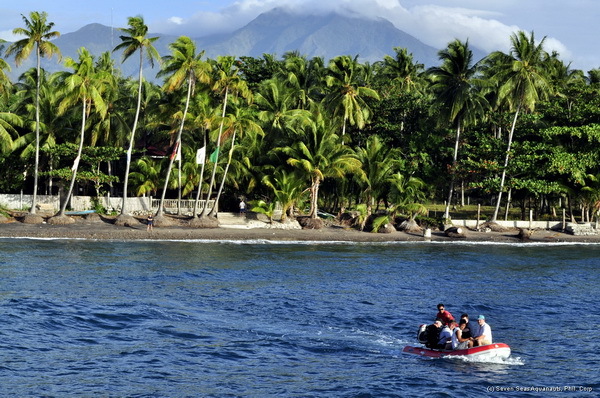 Dauin is located in a bay about 13km south of the city Dumaguete. The black powdery sand beach is of volcanic origin and offers a magnificent contrast to the deep green palm forests. The diving is mainly “Muck Diving”, which means that one finds on the gently sloping seabed predominantly black sand, interspersed by coral islands and seagrass fields and populated by tons of Critters. Underwater photographers get their money’s worth here. The “voodoo island” of the Philippines is known for black magic and witchcraft. However, we do not let that scare us, we go directly to the best dive site on the island, and have at least one dive there. The reef is flat, and the dramatic sloping cliff offer a smorgasbord of all that nature can come up under water; seagrass beds, coral gardens, groupers, triggerfish, crocodile fish, flute and trumpet fish, mackerels, Fusiliers, frog fish and much more. Apo Island is famous for its strictly regulated tourism and incredibly beautiful, exploited dive sites. Mamsa Point and Coconut Point generally offer a large fish wealth, u.a. Bigeye spiny mackerel swarms and sometimes buffalo head parrot fish. But be careful, there is often a strong current here. In contrast, the opposite side, the extensive hard and soft coral gardens at the dive site Chapel offer an explosion of shapes and colors and are simply incomparable. Doljo Point, Kalipayan, Momo Beach and Arco Point are all coral-covered slopes and cliffs that are wonderfully overgrown with hard and soft corals. Turtles are the order of the day, along with schools of mackerel, fusiliers, scorpionfish, parrotfish, sea snakes and much more. 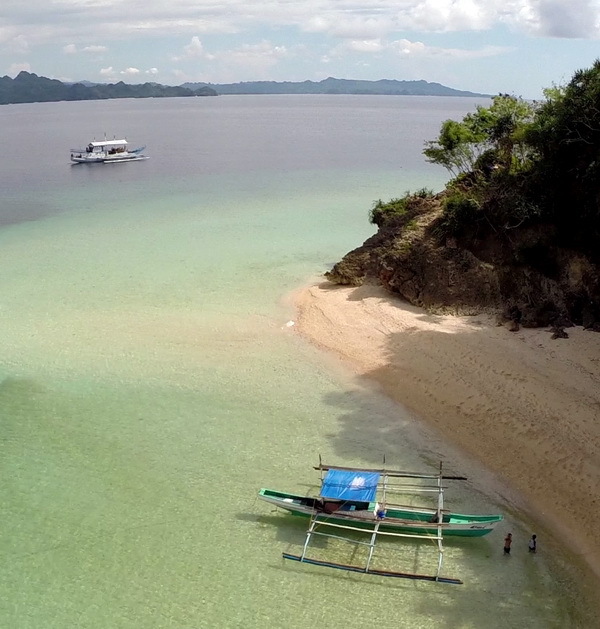 The island of Balicasag simply offers an overwhelming amount of marine life. On the north side you will find a mighty wall that reaches almost to the water surface and drops to great depth. Swarms of surgeon fish can be found here, and also a large stationary mackerel swarm, which circles in the open water and sometimes takes a diver in the middle. The south side offers a sandy, partially covered by seagrass meadows and coral islands crisscrossed reef roof in 8-10 meters, which then slopes down to over 30 feet. Turtles, sepia, ghost moraines and often an impressive barracuda warmth call Balicasag their home. Similar to Balicasag Island, Sumilon Island offers 2 different reefs. One, a steep wall that slopes down to 30m, is a marine reserve with mackerel and tuna, nudibranchs and flatworms, ghost pipefish and parrotfish. The northern side offers coral islands on light and sandy ground; perfect lighting conditions for underwater photographers. Here on the north side there is often a stronger current. That will also be the reason why blacktip sharks are often found here. 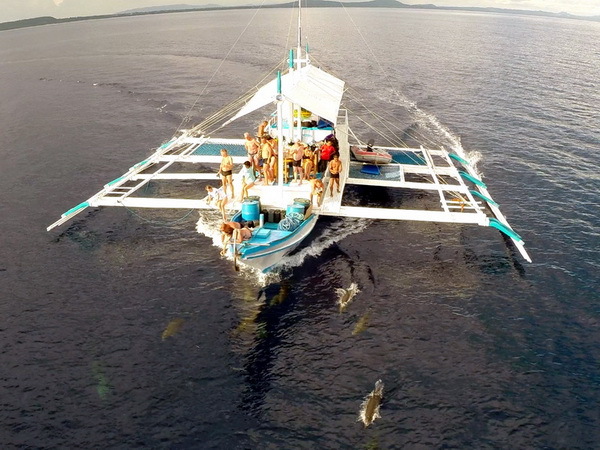 The whale sharks of Oslob are a controversial topic, as the whale sharks, which are seen daily, are fed by local guides. The safari guide will explain the pros and cons of Oslob in the briefing. Everyone can make their own judgment and decide for themselves whether they want to dive with the whale sharks or not. For whale shark diving, there are additional marine protection charges of 1,500 pesos (about € 30) to be paid locally. Pescador Island in Moalboal is one of the highlights on this safari. 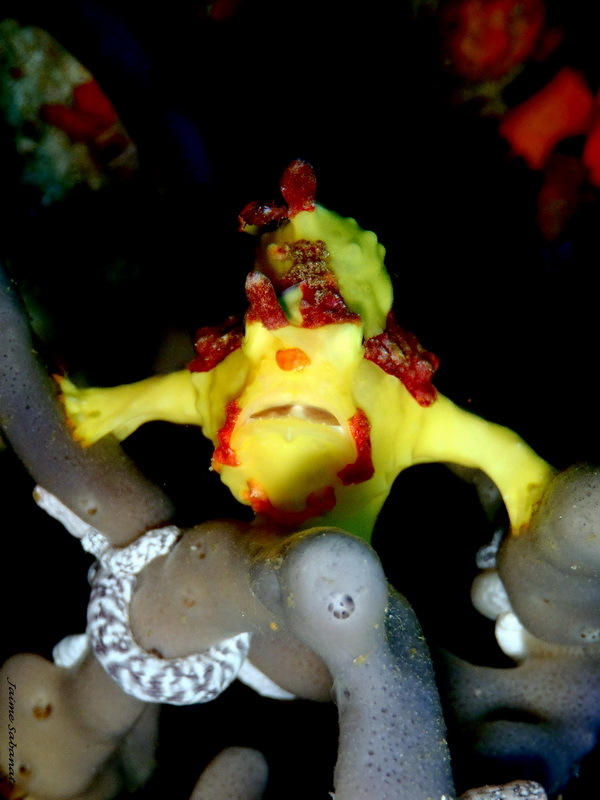 Pescador Island has dramatically sloping, often overhanging walls and fantastic coral growth. Occasionally a white tip shark crosses the path. A chimney-like cavern, called a cathedral, makes for a wonderful swim through, light forking down from above. Diving with the sardine swarm in Panagsama, which can be found year-round on Savedra Dive Centers house reef, is really an impressive experience. Often spiny mackerels hunt in the swarm and, if you’re lucky, sometimes a Thresher shark. A shore excursion to the Kawasan Falls in Cebu is included in the safari. Between Moalboal and Liloan we stop at the Park. At the mouth of the Matutinao River, we settle on the shore and follow the river to the Kaswasan Falls. This is a leisurely 30-minute walk through the tropical forest. If you want, you can jump into the cool water at the waterfalls and let yourself be massaged by the 20m high waterfall. In Bohol, on Alona Beach, there is the possibility instead of diving to go to the Chocolate Hills.